Thank you for taking the time to give us this information. Where information is given in good faith, all identifying details will be treated as confidential. Don't know which zone? 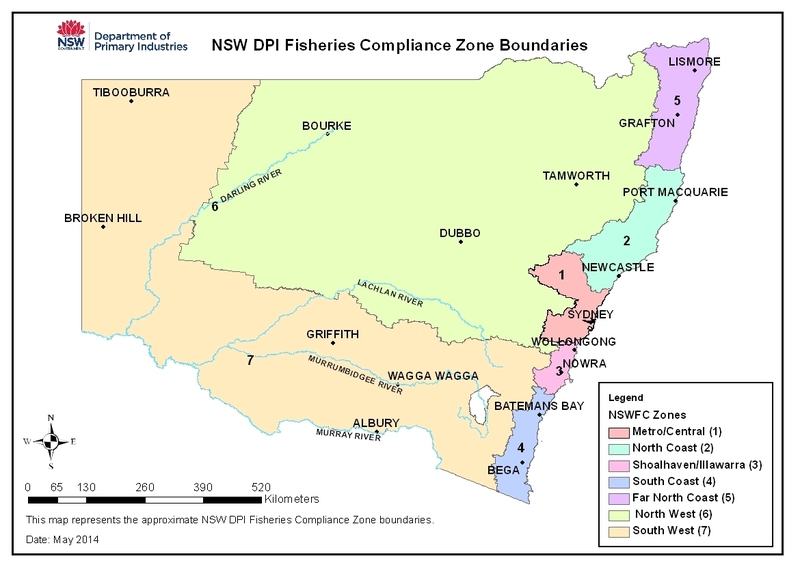 See a map of all NSW Fisheries Compliance Zone boundaries. If you have no objection to being contacted about this matter please complete the contact fields below. * By checking this box I acknowledge that the information I am providing may be used for the purposes of investigating illegal activity. For general fishing information, please call the Fisheries Information Line on 1300 550 474. The information on this form is being collected for the purposes of recording and investigating reports of illegal fishing activities in NSW. NSW Department of Industry will only use the information for the purposes stated. All information provided will be held by NSW Department of Industry and will be managed in accordance with provisions under the Privacy and Personal Information Protection Act 1998.